The motorway tends to be relatively deserted outside the peak summer season so, if you’re in a hurry and don’t mind paying the tolls, it’s much easier than the windy coastal road for long distances. 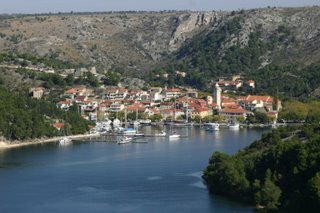 However sometimes it’s quite a distance from the main towns, for example 20 to 30 minutes drive from Trogir and Biograd. We travelled from Kaštela to Zadar on Sunday taking the inland road, just north west of Trogir, towards Šibenik and then a very short drive from the main road onto the motorway just before Šibenik. I suppose we spent about half an hour on the motorway and it cost us 35 kunas (about £3.50) instead of the 41 kunas we would have spent from Trogir but it was the easiest of journeys. We also stopped off to have a look at the Škradin service station. 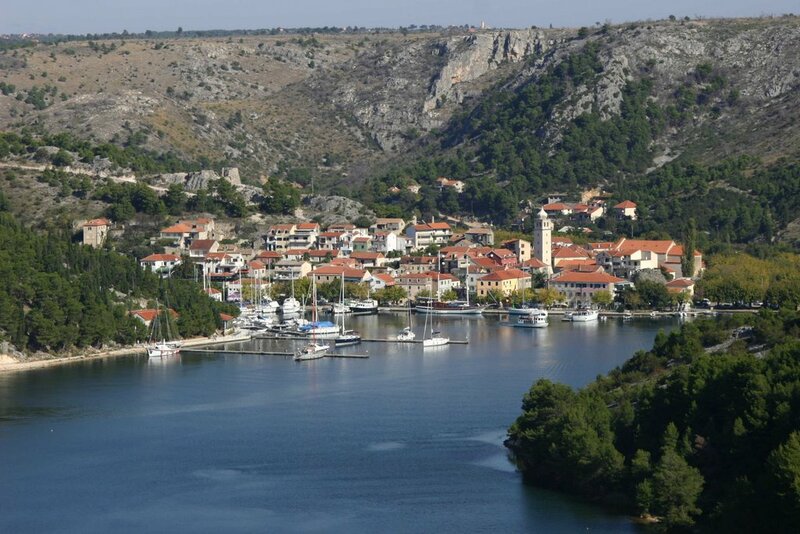 Škradin has an ACI marina popular for wintering boats as a result of the fresh water from the Krka river, and is one of the villages from which to visit the spectacular Krka waterfalls. The service station has a restaurant and café, is well landscaped and affords great views of Škradin so if you’re facing a long journey, it’s not the worst place to have lunch.